Traditional Indian and Pakistani Brides and Weddings are unique. As a wedding photographer, I have to say that I definitely agree with that. These ceremonies are famous for being a family affair, where love, community and religion play a roll. However, just like every other wedding, it is still all about the Bride. 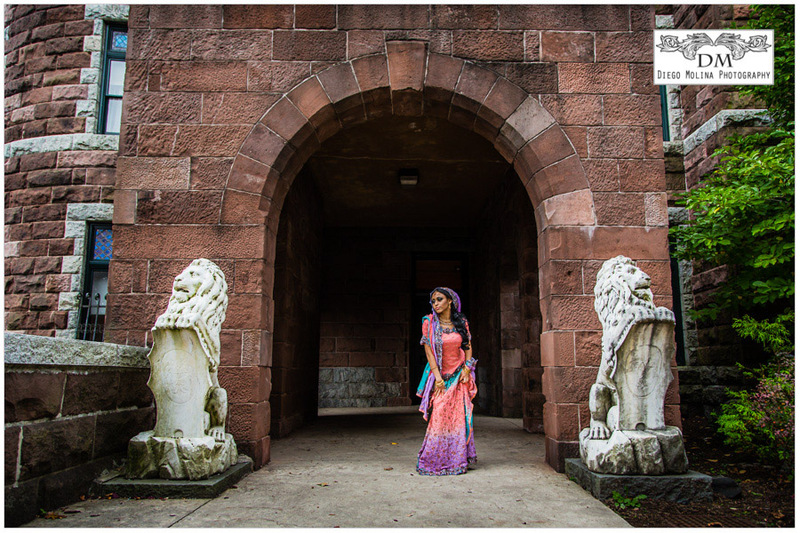 I had the chance to photograph this beautiful bride in Indian Bridal Saree, at the Lambert Castle in Paterson New Jersey, Passaic County. This is one of the preferred wedding locations for local couples and photographers for high-end wedding ceremonies and receptions. The gardens and grounds are stunning and very suiting for the occasion. Under good wedding conditions, the NYC Skyline can be seen from there. These weddings are a real production where there are events for an entire week! but not every Indian wedding is hindu. As a matter fact, some brides choose to wear the traditional wedding gown and later change to a bridal saree. As a high-end wedding photographer, I try to capture all details and traditions involved in these special weddings. 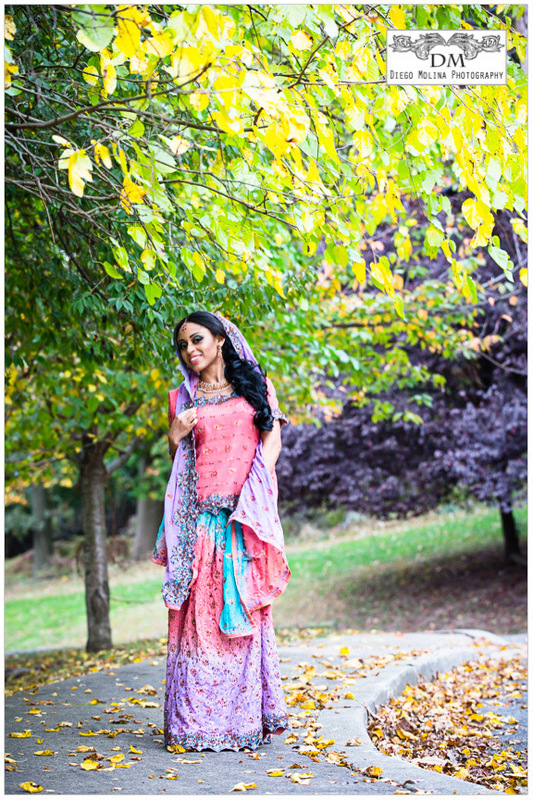 This indian styled shoot was put together by Amtul Karamat from Embody Your Beauty With M I can’t thank you enough for this amazing opportunity. It definitely involved a lot of work. Kudos!!! Are you looking for high-end wedding photographers for your upcoming wedding? Diego Molina is definitely one of the best wedding photographers in Bergen County. Our studio offers hand-crafted luxury wedding albums, classy gallery canvas, elegant black and white prints captured during the most important day in your life. His storytelling ability in combination with excellent photography skills makes him the professional to hire to capture the most astonishing portraits on your wedding day. In today’s digital age, he is a unique artist and extremely gifted wedding and engagement photographer. His award-winning wedding photos are special, he portraits every detail and devotes his craft to produce breathtaking wedding albums. There is something about Brides that’s so inspiring! The joy and emotion they portray is incomparable. I chose Bryant Park as a location for NYC wedding photography shoot. It is an iconic park of New York City that has great facades and backgrounds for all types of photographs specially for lifestyle NYC weddings. It’s located in the heart of the City and it is one of the favorites for Bridal Photo shoots. It never disappoints and changes with the seasons. It’s versatility allows locals and tourists to enjoy its splendor no matter what time of the year. We took some shots right in front of Bryant Park Grill, a preferred location to celebrate special events and the most lavish weddings in New York, NY. It is an elegant venue and it’s rooftop is perfect for wedding receptions, definitely a place to look up if you like a beautiful evening for your Wedding Day. It’s Menu is unbelievable and depending on the season, you can have your guests enjoy fine dining al fresco overlooking the rest of the park and its magic. Steps away from the Park and Bryant Park Grill is the fabulous Bryant Park Hotel. The majority of the brides find this hotel so convenient to get ready there and also host foreign guests. It is a designer luxury facility that has received many awards for accommodation and service. It was a late summer afternoon with perfect weather and light. This gorgeous bride looked stunning in a trumpet style wedding dress with lace and beads and a sweep train. The strapless silhouette fit her like a glove. As a wedding photographer in New York, the city represents the perfect location for amazing bridal shoots and wedding photography. Not only to capture the charm of the city and its historic landmarks, but also to translate love and beautiful details through images. If you are looking for a professional photographer in New York City, NY to capture your Wedding Day, Diego Molina Photography is your best choice. With the convenience of Bryant Park, Bryan Park Grill and Bryant Park Hotel, consider your special day to be amazing and complete. Diego Molina is a NJ Boudoir Photographer, NYC Bridal Boudoir Photographer, Engagement Photographer, Event Photographer & NYC Wedding Photographer. It was my great pleasure photographing Lina & Richard’s Wedding a couple of weeks ago. It was an intimate celebration at The Empire Club in northern New Jersey. This fantastic venue is one of the preferred locations for weddings, social events and galas. They took care of every detail for Bride and Groom and made sure that every guest was assisted. Being a Wedding Photographer allows me to see the couple from so many different angles. These two deserved to be with each other and were so happy to be together at last. We had met a week before to do their PreWedding shots were they were both so excited of the upcoming wedding (Pre Wedding Photography Session); to see them enjoy their actual Wedding day, was priceless. This loving couple celebrated their union along with their families and closest friends, the ceremony was beautiful and the reception a total blast!. The ceremony, a joyous commemoration of love, was officiated at the Holy Family Church, one of the most iconic and photogenic temples of Union City in Northern New Jersey NJ. Family portraits and Bride & Groom pictures were taken at the traditional location in Boulevard East were the Manhattan skyline is in full display and makes for a unique amazing background. Congrats on your new journey together, wishing you many years of happiness! My longtime friend got engaged a few months ago and asked me to be her Wedding Photographer. With the wedding only days away, we decided to do some pre wedding shoots. These shoots are great, especially if the couple wants to use one enlargement image at the venue. It was total success for them! Taking advantage of the stunning views of the New York City’s skyline, we took these at the port imperial marina in Weehawken, NJ a little bit after sunset perfect time to catch the city’s lighting. Congrats to Lina & Richard! I had the honor to do this lovely coupleâ€™s Pre-Wedding Photo-shoot a few weeks ago. They wanted to use traditional attire from South Korea to share their Joy with their family, and what better way than to make it a keepsake that will last forever in those images. Keeping traditions is priceless! I was so excited to do this Photo session when they called me and once I saw the clothing with such beautiful details and vibrant colors I knew it would be a total success. 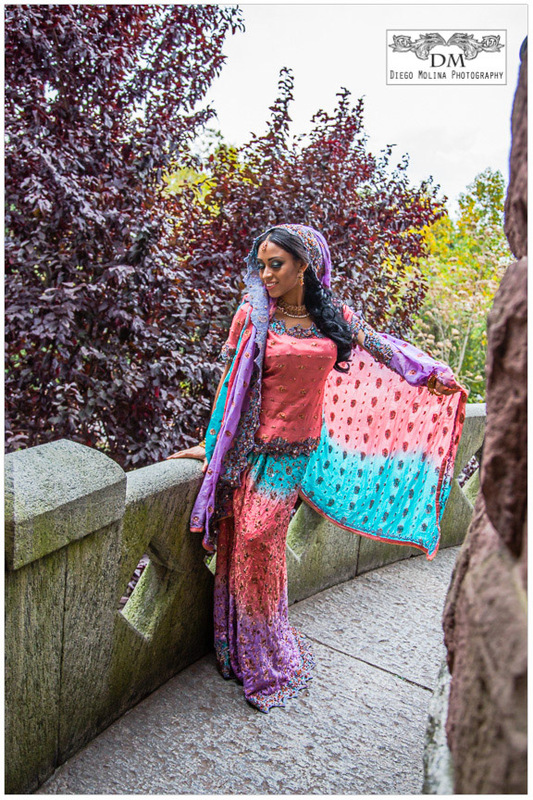 It is my pleasure to translate through my lenses the love a couple shares for one another.Â Since New York City NYC is one of the most multi-cultural and diverse cities in the world, it is very inspiring to see everyone keeping their dear traditions alive. They are having their actual Wedding in Hawaii. Congrats to the Newlyweds and many years of happiness!